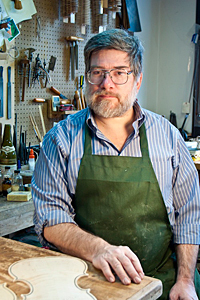 Nathan Slobodkin is a native of Ann Arbor, Michigan, whose more than 40 years in the musical instrument field include an internship in the musical instrument collection of the Smithsonian Institution; five years of building violins, violas and cellos in the W.H. Lee workshop, Chicago; two years on the restoration staff of Jacques Francais Rare Violins, New York; and a twelve-year collaboration with Reuning & Son Violins Boston, producing more than seventy cellos modeled after the famous Ex-Messeus Guarnari del Gesu. He has done work for many violin shops around the United States and his instruments have been sold in Europe, Asia and across North America. He was awarded a Certificate of Merit for Workmanship by the Violin Society of America in 1996 and a second prize for violin making at the Art of Sound International Violin Making Competition in 2014. He is a member of the American Federation of Violin and Bowmakers and maintains an active dialogue with colleagues around the world sharing new thoughts and developments in the violin-making profession. He has recently attended professional development workshops at Oberlin Conservatory and Emerson Arts Centre. 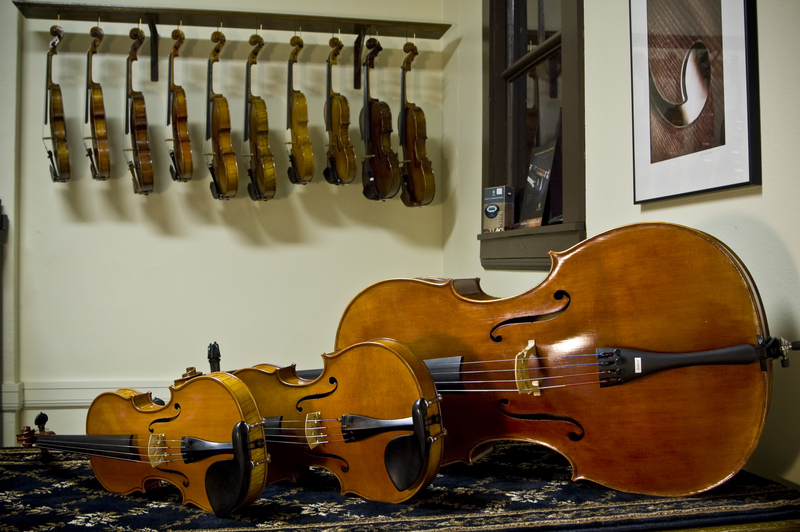 Since 1993, Mr. Slobodkin has operated a full-service violin shop in Bangor, Maine, offering violins, violas, cellos and accessories in all price ranges. Today, he continues to make new instruments of individual personality that meet the demands of the most discriminating professional musicians while remaining within the financial resources of both the young professional and the serious student. Full-service violin shop in Bangor, Maine. Violins, violas and cellos made, bought and sold.